It was a busy day at the Fair-trade stall in the St Nicholas Centre on Saturday 7 March 2015. Sutton’s Mayor, Cllr Arthur Hookway also joined the local Fair-trade team. 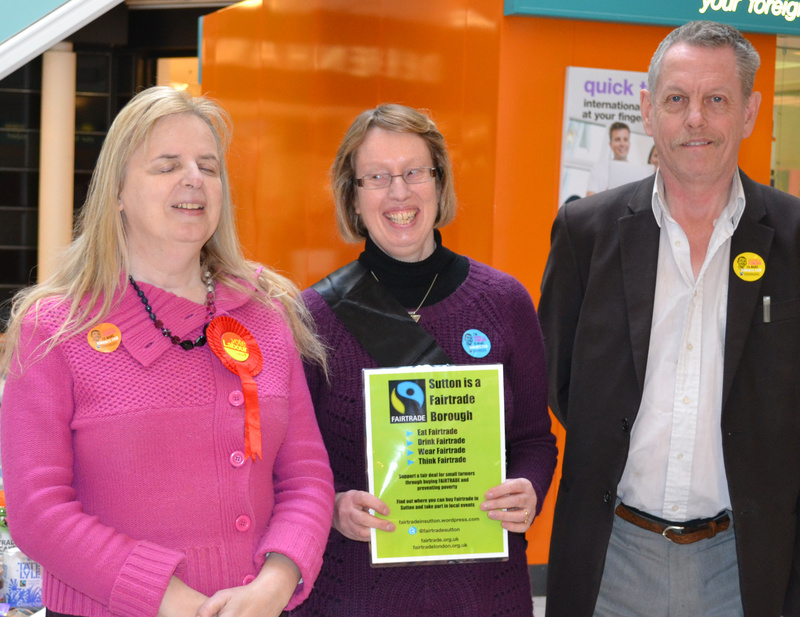 Emily Brothers, Labour PPC for Sutton and Cheam, took time out of her campaign schedule to meet up with the local Fair-trade team. 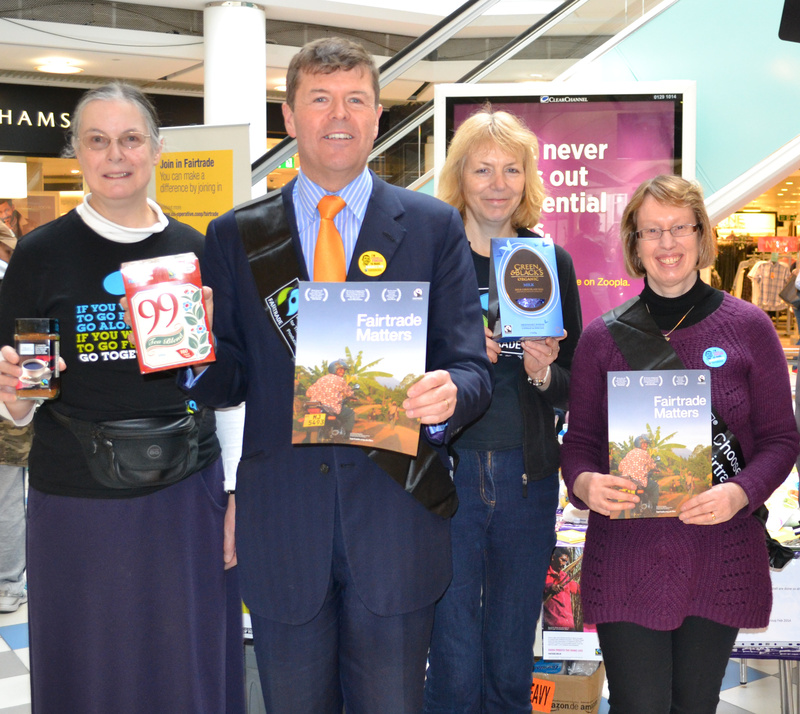 Thank you to Paul Burstow MP for coming along to our Fair-trade stall during Fairtrade Fortnight.